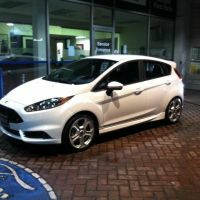 Post a picture of your Fiesta ST as it sits right now! 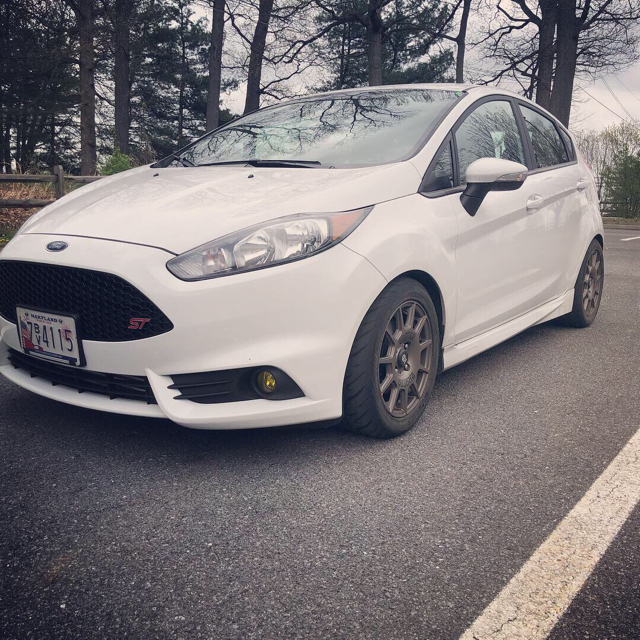 Thread: Post a picture of your Fiesta ST as it sits right now! Who makes the canyards, and nice cat. Team Dynamics Pro Race 1.2 15x8 et35 with 205/50r15 Nitto neogens. 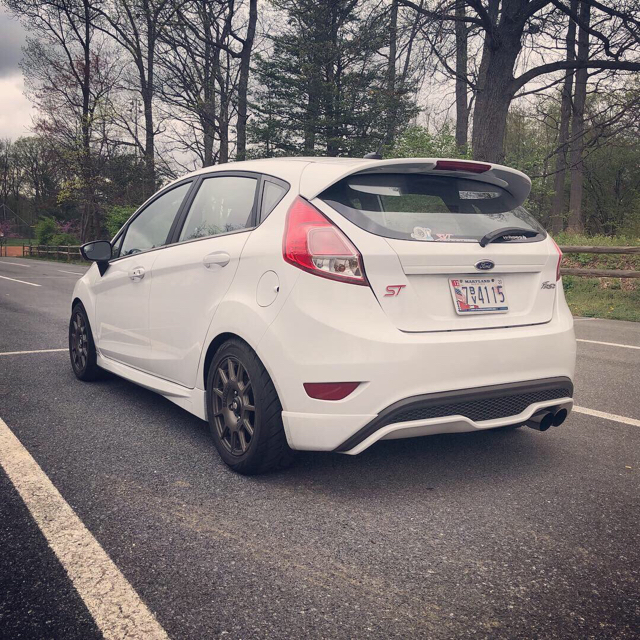 Lowered on H&R supersports. I do have some rubbing over really bad bumps, but normal driving I have absolutely no issues. What do you mean by bad bumps? Like some speed bumps at parking lots or neighborhoods you will rub? Finished my wrap and headlight retrofit last weekend! Last edited by Darksabre; 04-16-2019 at 01:55 PM. Added a couple more. 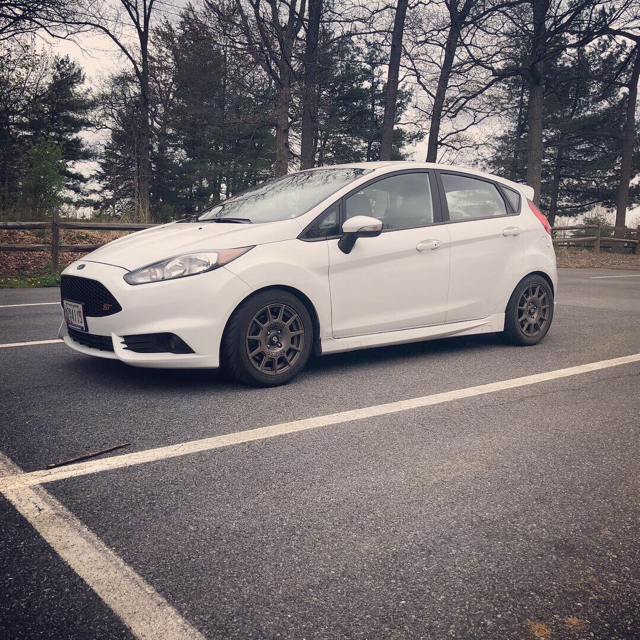 I reaaaaaaaly want to get a set of gloss bronze Dekagrams on there ASAP instead of the ugly stock wheels. Stupid monetary restrictions! What is that wrap color actually called? YES, bronze Dekas would look KILLER on that (or almost any other color for that matter)! The wrap is Vvivid Demon Gloss Black. It's a black vinyl with red metallic flake and a gloss overlaminate. Posting pics of the wife's Chevy Colorado Z71 I wrapped for fun.